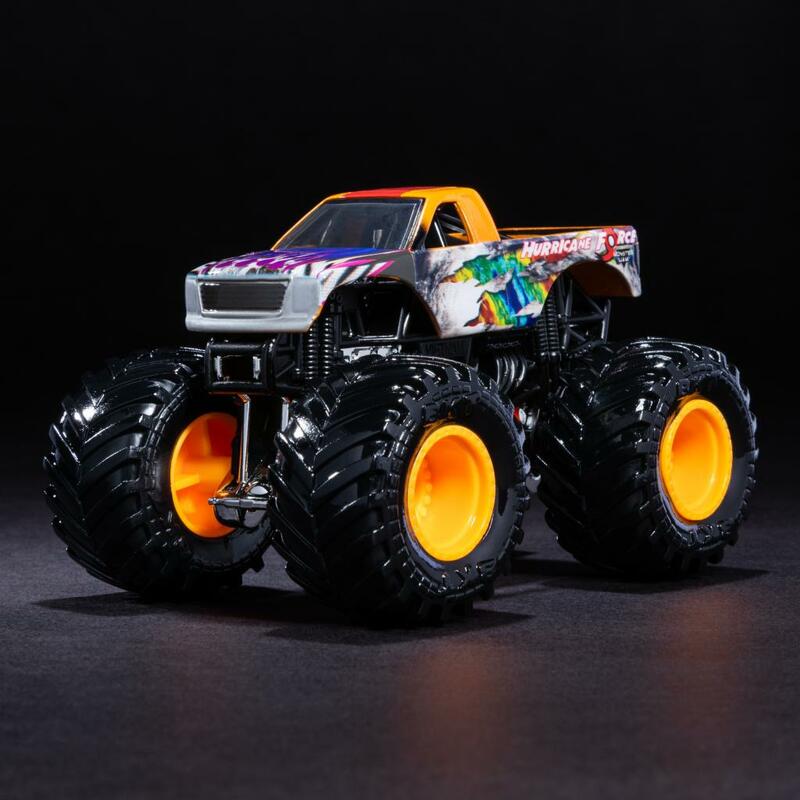 Introducing the all-new, official 1:64 scale die-cast Monster Jam monster truck! 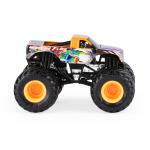 This lean, mean, Monster Jam machine features more details and graphics than ever before! With official BKT Tires, stylized chrome rims, and an authentic chassis with chrome detailing, this monster truck embodies the style and swagger of its real-life counterpart! 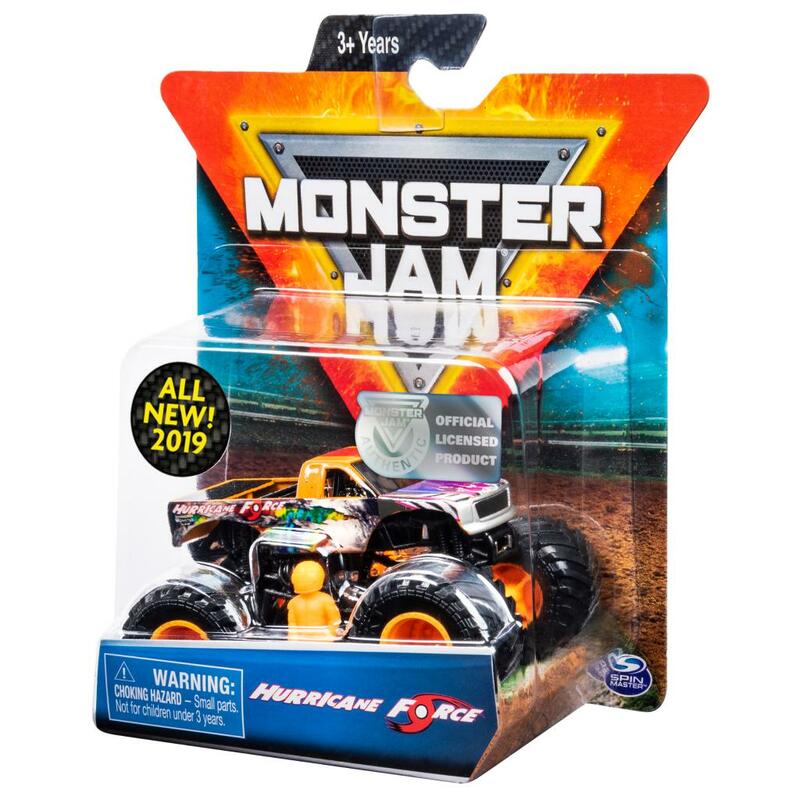 PLUS, this 1:64 scale truck comes complete with a driver molded into the driver seat and a collectible Monster Jam driver figurine, so you can set the stage of your very own Monster Jam arena! 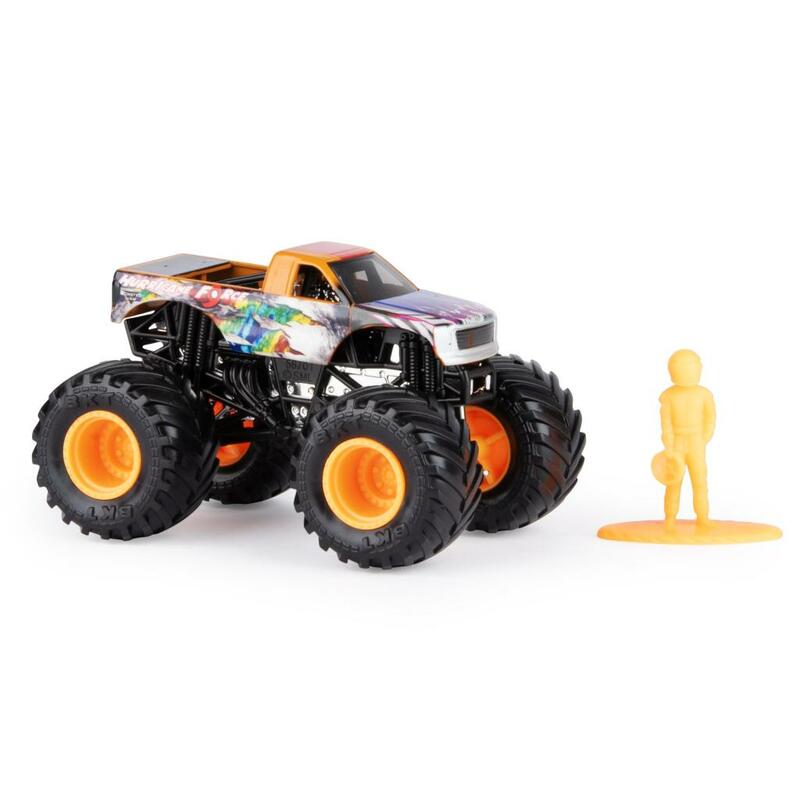 This 1:64 scale die-cast Monster Jam truck is just like the real thing - only fun size! And now with more trucks to collect than ever before, it's easy to keep track of your collection with the exclusive collector's poster! 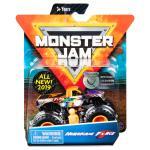 Start building your Monster Jam collection today! OFFICIAL MONSTER JAM TRUCK: Dominate everything in your way with the all-new, official Monster Jam 1:64 scale die-cast monster truck! AUTHENTIC REPLICA: The 1:64 die-cast series features more detail and life-like graphics, bringing the Monster Jam action right to you! Official BKT Tires, stylized chrome rims, and an authentically styled chassis with chrome detailing make it feel like you are holding the real thing! 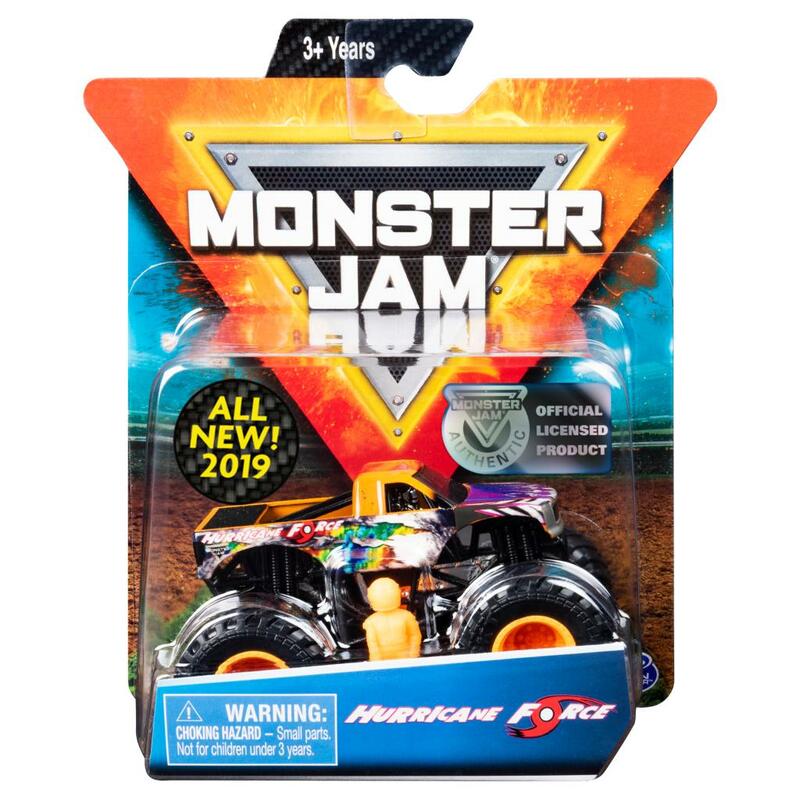 COLLECTIBLE POSTER: Keep track of your Monster Jam trucks with the exclusive collector's poster! 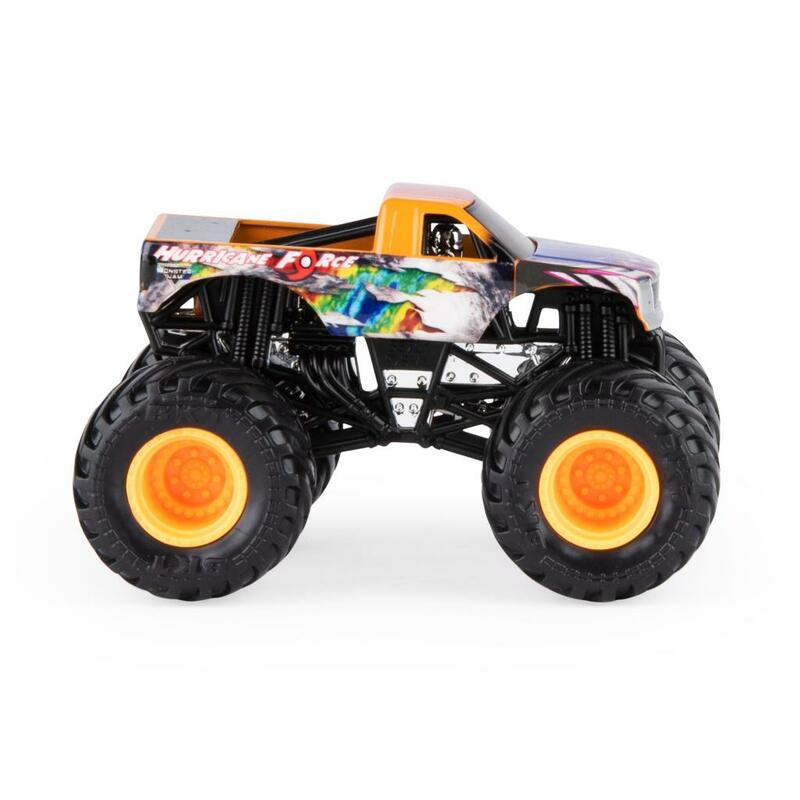 Each poster features an awesome Monster Jam truck on one side, so you can hang it on your wall! 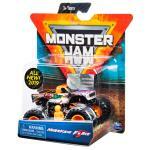 COLLECT THEM ALL: Now there are more Monster Jam monster trucks than ever before to collect! Grave Digger, Megalodon, El Toro Loco, Max D and more - collect them all and smash your way to victory in your own Monster Jam event! Start collecting today! For ages 3 and up.